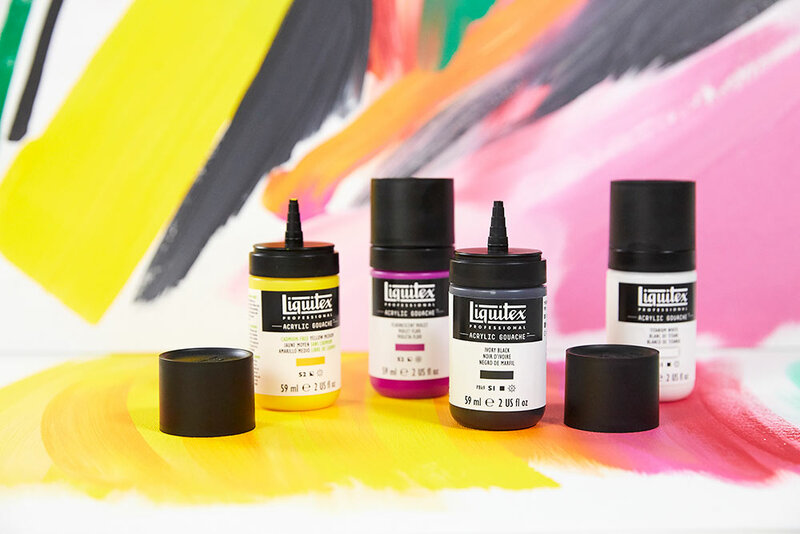 We are buzzing about new Liquitex acrylic Gouache. This product will revolutionise your acrylic painting practice! You’d be forgiven for thinking the new Liquitex gouache is another standard gouache paint…but it’s not! 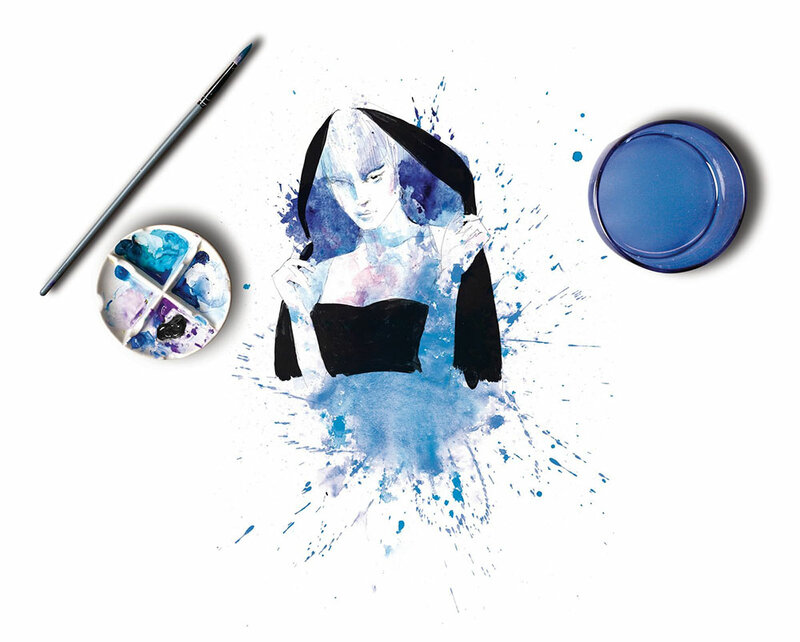 In essence this is an acrylic paint in the style of Gouache, a fluid ultra-pigmented acrylic with a solid matt finish that holds virtually no brush strokes. Liquitex Acrylic Gouache will increase your repertoire of techniques within an acrylic painting. 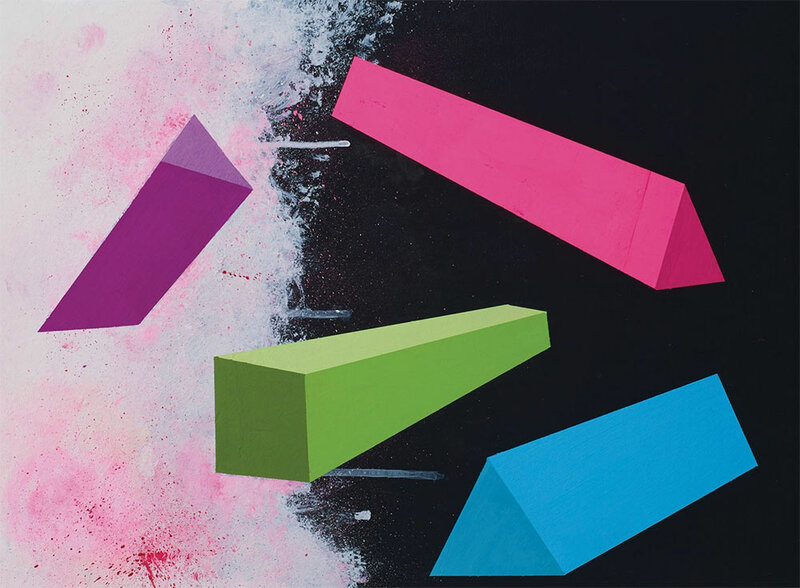 It is totally intermixable with all delivery systems of Liquitex acrylic paint and mediums. There are simply loads of ways you can use it; the application is smooth and doesn’t need flow improver or water to give an even coverage and it mixes in with regular acrylic paint too. The new Gouache is ideal for creating grounds (coloured backgrounds for your painting) because its finish is flat and doesn’t show brush marks. It is very opaque so the coverage is good and the product is easily delivered straight from the nozzle without needing a palette. This is so useful when painting on a large scale. Gouache works really well on a dark ground because of its covering properties, especially black gesso backgrounds that are trending at the moment. 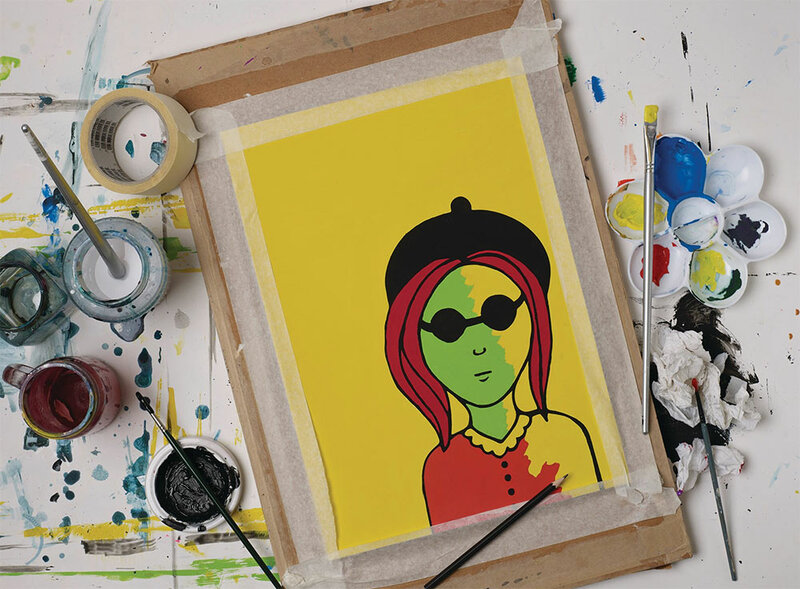 It’s also the go-to paint for colour blocking, covering mistakes and painting out sections of a painting. 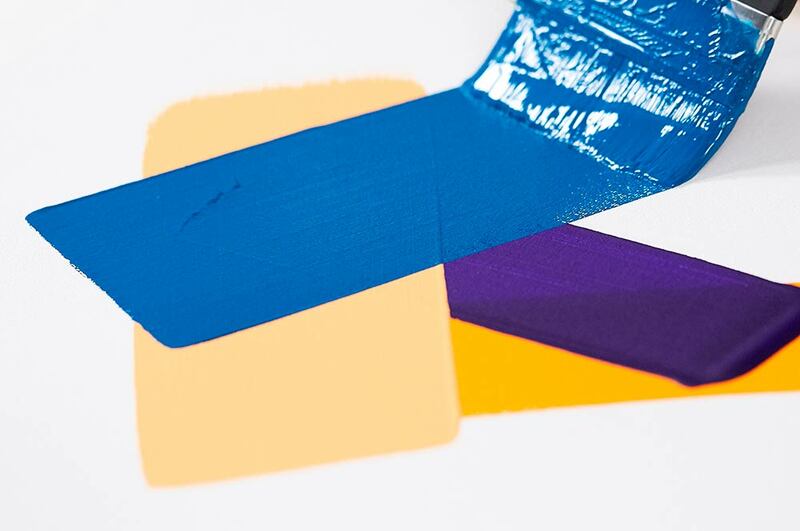 Because the colour is solid it is great for layering; none of the colour beneath shows through which makes it perfect for using over mixed media or collage. 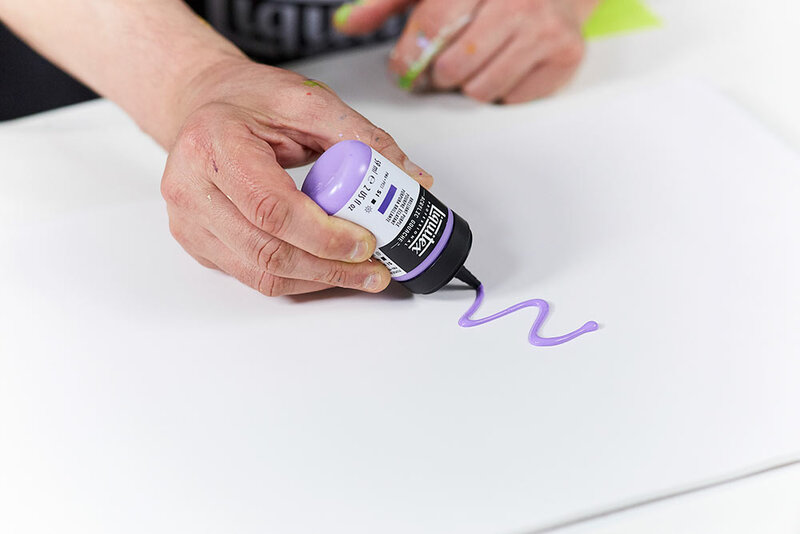 Use the nozzle to apply it directly on to a painting surface, then it can either be brushed out or you can simply make marks using the nozzle as your applicator. This new packaging has also been used to transform Liquitex Soft Body acrylic, making it easier to use than from the tub. You can apply the gouache with a dishcloth or sponge to create a matt textured effect within a painting. Being fluid and matt it is also a great ready-mixed consistency for sponging. Acrylic gouache has the finish of a watercolour when diluted, so you can use it to achieve a watercolour effect within an acrylic painting. It does not granulate as much as regular acrylic when thinned. You could alternatively use airbrush medium to dilute it, which will make the thinned pigment less fugitive. This gouache can be painted on as a flat saturated ground that will hold special effects mediums such as glass bead gel, opaque flakes or black lava gel. 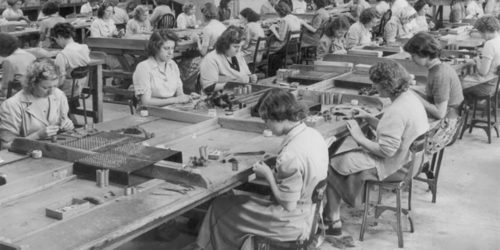 This allows their reflective quality to be enhanced by the colour beneath. 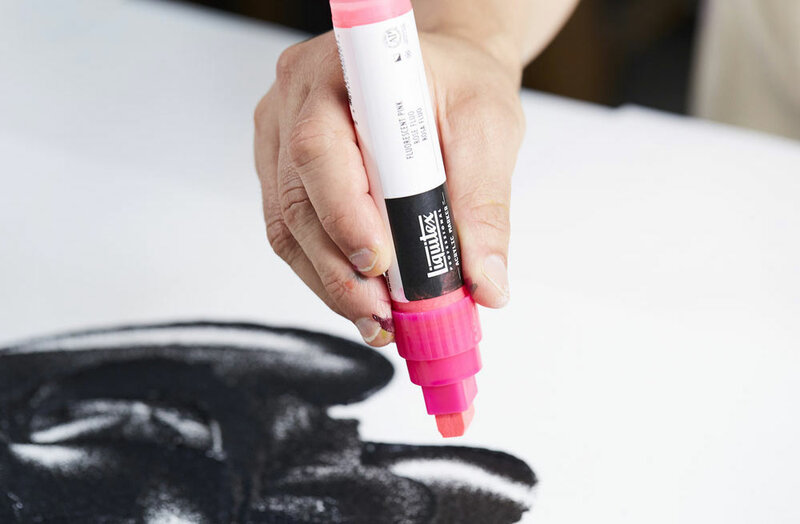 It also creates a flat, matt, smooth surface on which you can use Liquitex acrylic markers. If you haven’t tried acrylic paint markers yet they are a delivery system for acrylic paint with the control of a pen.